Chris has watched over my 4 cats and 2 dogs on many occasions. Not only is he one of the most trustworthy people I know he is also incredibly kind and compassionate. He is very detailed oriented and professional. I would highly recommend him for anyone who is looking for someone to care for their furry family members. Your dog wants a mid-day dog walk, Sunshine Pet and Home Care helps your dog get his wish. 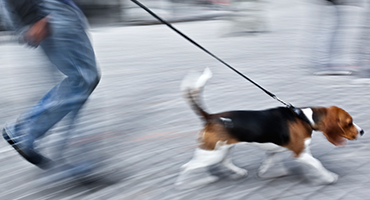 Reduce anxiety and pent up energy with a half hour (or more) daily walk between 10 a.m. and 2 p.m. Our “doggie cam” and GPS services help you share the dog walk with your pet. 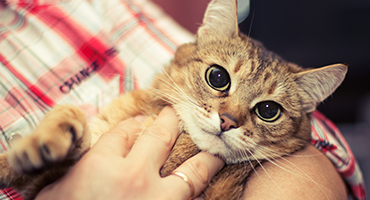 Our “Two Paws Up” Pet care keeps your pets happy. Pets love a routine. They’re most comfortable in their familiar surroundings and appreciate their favorite napping spaces. 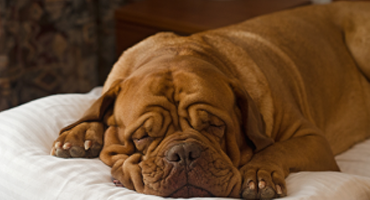 Our overnight pet care keeps their routine stable when you’re away. There’s a ton of information out there about symptoms and treatment, as well as suggestions to keep your dogs away from day care centers, dog parks, and to prevent coming into contact with other dogs while on their walks. Sunshine Pet and Home Care walks your dog, cat sits and gives a percentage of profit back to PAWS and other no-kill shelters in Chicago. It’s our mission for every animal to be cared for. We offer pet services to Chicago’s pet in the Andersonville, Edgewater, Rogers Park, Uptown, Lakeview and Lincoln Park neighborhoods. Chris is the best kind of person to take care of your dog. You can tell right away that he genuinely cares about animals and animals gravitate towards him. My dog, Ziggy, was ecstatic every time Chris came by our home. The first time my wife and I left Ziggy at home during a vacation, we were worried sick about how it would affect him. Chris was absolutely great at keeping us updated on how Ziggy was doing and we could tell he was taking the time to really make sure Ziggy was okay. Chris knows that walking a dog is only half of what the dog needs. He spent the time to engage Ziggy mentally and emotionally comfort him. I really can’t say enough good things about Chris and I would recommend him to anyone who is looking for someone they can truly trust with their animals. If your pet requires serious 5-star care in your absence, be it for a walk or a week, Chris ensures that they have it all. It’s just the way he works. It’s in his K9 DNA. I thought you were wonderful with Gemma and you added the taking care of the house part which always made me feel better about going away. No one had ever asked about the water shut off,etc. You spent a good amount of time with the intake of the information on our first get together and that was most reassuring. No one before or since has taken such care to be aware of all the details for pet and home owners when we go away. Your reporting about the time spent at the house while we were away was always good hear as well. I would recommend you to all who have pets and want a caring and responsible pet care person. I was sad when you left. Bring a little Sunshine into your pet's day! * Offer applies to first time clients who sign up for our monthly walks.